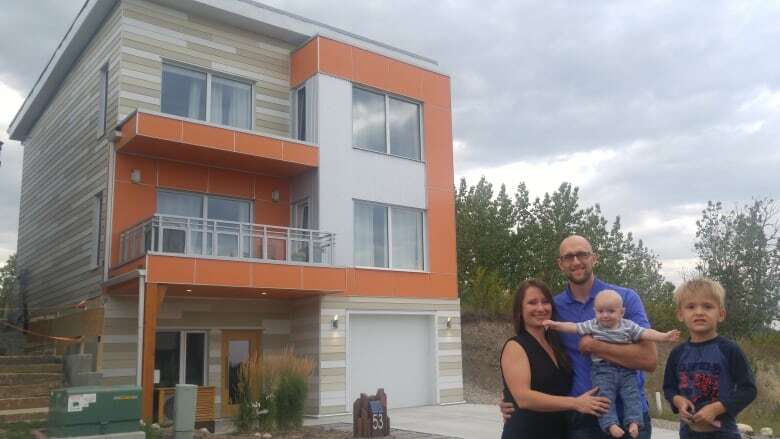 A family's home in northwest Calgary has become the first in the province to be certified by the Passive House Institute — considered the gold standard for sustainable building. 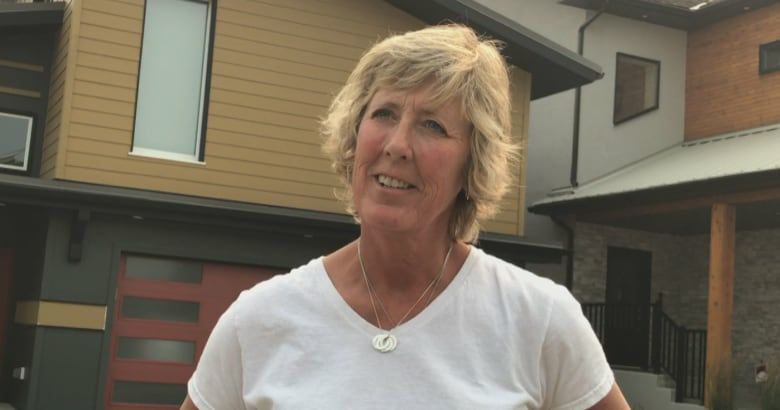 Ania Kania-Richmond says special energy efficient features heat her family's nearly 2,000-square-foot home in Rocky Ridge without a furnace, despite Calgary's frigid winters. 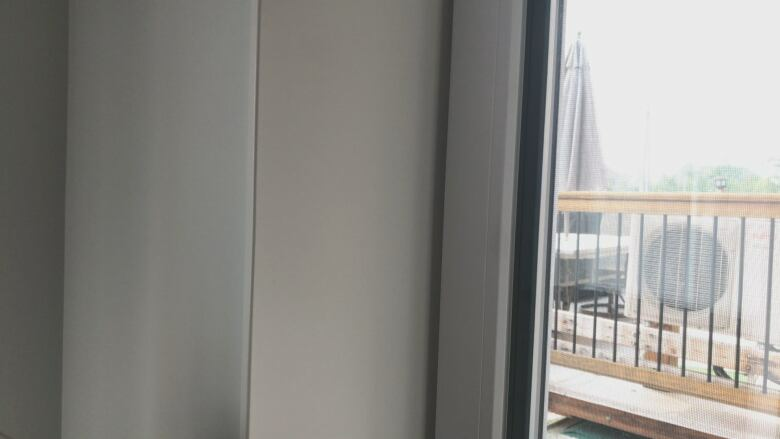 Their home, which was built by Calgary-based company One House Green, is the first in Alberta and among a handful in Canada to receive certification from the Germany-based research institute. A certified passive house typically uses as much as 90 per cent less energy than a traditional build. Kania-Richmond says the four-year process from lot purchase to move-in wasn't always easy — but it has been worth it to live a more sustainable lifestyle. "Behaviour change is really hard. We're all really comfortable in our big houses and big cars," said Kania-Richmond, who shares the home in the EchoHaven development with her husband and two children. "I would never critique somebody's lifestyle choices, but I do think that we need to recognize that maybe there's a different way of doing it. Maybe there's a better way of doing it." It differs in a few key ways from traditionally constructed homes. For one, the outer walls are twice as thick as those of a typical build. "Imagine that you do the framing twice, so you have the exterior envelope, which is the standard envelope, and then you have the interior envelope, so our window sills are probably about … over a foot." Those window sills frame air-tight, triple-pane glass imported from Germany that welcome the sun's heat. "They're very, very well insulated, so in the wintertime, if you sat beside my wall or beside my windows, you'd never know the difference. There's absolutely no draft." Along with the double-thick outer walls, concrete floors absorb and retain passive solar energy. "Sun comes in through our windows and heats the inside environment. That's all passive solar energy is. The thermal mass enhances how much you capture that heat." 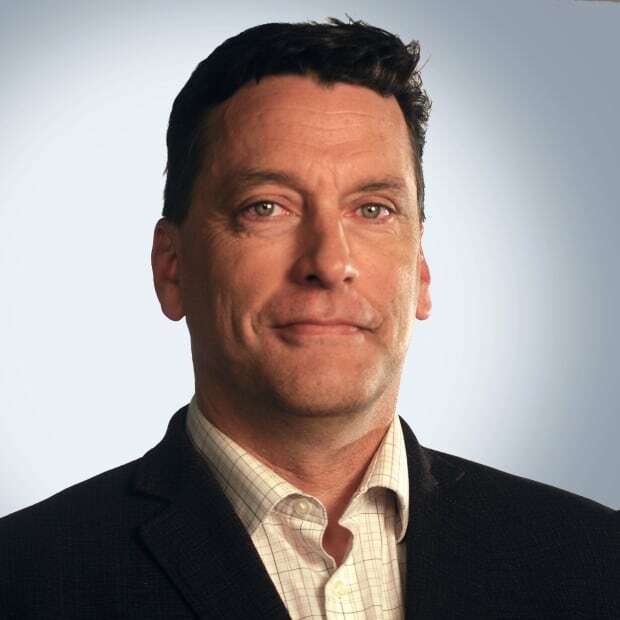 But what about those cold snaps when Calgary's temperature plummets below -30 C? Kania-Richmond says they are only a threat if the sky is grey for a prolonged period of time … and in that case, electric radiators kick in. "These radiators have gone on maybe 10 times, for an hour at a time, in the two years we've been here." She said it cost a bit more to build a house this way — but pointed out that they have no monthly heating bills. Kania-Richmond's house isn't the only energy-efficient home in EchoHaven. None of the 25 lots in the development have natural-gas services. All homes in the development must be 30 per cent more efficient than the newest Alberta building code requirements. They're also expected to use a lot less energy than regular build homes, give off no greenhouse gas emissions and harvest rainwater. Seventeen houses have been built so far, including Shannon Sherman's, which she calls an "almost passive home," across the street from Kania-Richmond's home. Sherman admits she was leery about downsizing to a community with no natural gas. "I've lived in Alberta my whole life, so we were very concerned that we could not actually have a home in Alberta without a furnace and it's turned out you actually can." She was drawn to EchoHaven because of the location and the fact that it has preserved more than 60 per cent of the existing natural landscape. "We thought we could learn about what this energy efficiency piece was up here. It was very much a leap of faith. We did our research and we're really happy we did." Kania-Richmond says the chance to live among like-minded people is what drew her family away from central-city life to this sustainable neighbourhood in the northwest community of Rocky Ridge. "Can we accomplish this? Can we build a house that's relatively affordable that is energy efficient? And I would say that today I am sitting here in a certified house that's really comfortable. We're both professionals, I think we fit the classic descriptor of a middle-class family. And yes it is. I find that really exciting and really motivating."